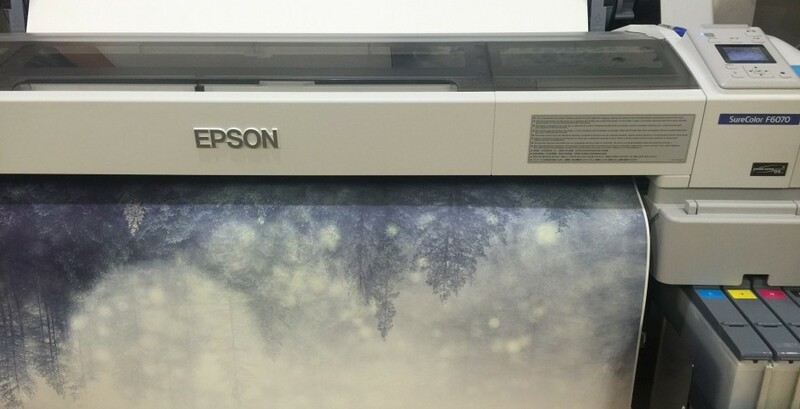 In 2015, we acquired the latest in dye-sub technology with our new Epson dye sublimation printer. 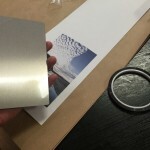 We set out to build capabilities so we could meet the needs of artists asking for metal prints – a popular but previously out-of-reach printing method. Open any photography magazine today, and most of the full page ads from well-known studios are advertising metal prints. It is definitely the “next big thing”. A few years ago, most studios were using third-party inks that were hard to calibrate (for accurate color rendition) and constantly clogged up old repurposed printers. Plus, printer warranties were void if they used third-party inks and then harmed the printer’s functionality. And it was expensive. Very. And difficult to use, with all of the extra equipment needed. Luckily, Epson came along and recognized a need that was not met. However, they first marketed the printers only to the performance apparel industry, meaning we didn’t even know of their existence until after a year and a half from their release! Now we have the most accurate dye sublimation printer on the market, and two heat presses for a wide range of applications. Heat presses? Well, yes – that’s where the difficulty comes in, and why most printing studios won’t try dye sublimation for serious artistic applications. 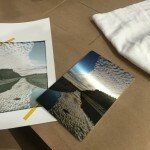 Dye sublimation is quite unlike regular fine art giclee printing. 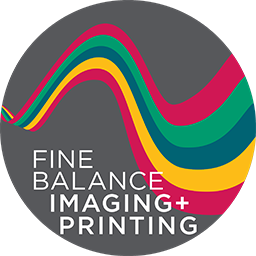 With most kinds of printing, the variables one has to manage are limited to ensuring a color-calibrated workflow with calibrated monitors, printers, and proper paper profiles. There is a finesse involved, for sure: which is why prints from a professional studio will always be of higher quality and fidelity than prints made on a home printer. 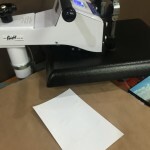 However, with dye sublimation, multiple other steps are involved that, despite correctly calibrated equipment, can introduce all manner of challenges. We were blessed to have the ultimate expert in dye sublimation printing come to our studio to personally calibrate our printer and our heat presses for the most accurate color in the industry. 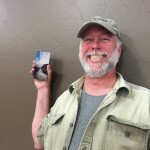 In fact, this fellow is the lead expert on dye sublimation printing at Epson, and has been working with the technology far beyond when Epson adopted it – for over 20 years! It was a great experience to have such expertise spend an entire day ensuring our equipment was working better even than the biggest competition in the industry. But what about those heat presses anyway? What are the steps? Glad you asked again! An image is printed through a specialized RIP (raster image processing software) onto a coated dye sublimation transfer paper using dye sublimation inks. 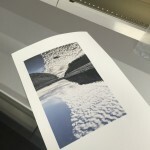 The paper print is left to dry completely, and often set under the platen of a heat press – but not pressed – to ensure it is completely moisture free. The print is taped or adhered to a substrate, like metal, wood, glass, tile or fabric. The tape must be heat-resistant to at least 450ºF. 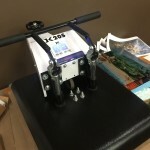 A heat press is heated to 400º (depending on the substrate), and the printed paper and substrate are placed into the press. And this is where the magic happens! In the heat press, the dye ink molecules are under extreme heat and pressure, which makes them “sublime”. This is where the term “sublimate” comes from. The ink molecules bypass the liquid state of matter and move directly from a solid on the paper to a gas. The coating on the substrate – a special kind of polyester – also goes through a shift in its state of matter, but not to a gas: it “glassifies”, meaning it transitions almost to a liquid but still holds its structure as a solid. The dye ink gas molecules have nowhere to go but into the glassified polyester coating on the substrate, due to the extreme pressure in the heat press. Once the allotted time is up, the substrate is removed, and the print is peeled away. The dye ink has been transferred integrally into – literally in between the molecules – the polyester coating! 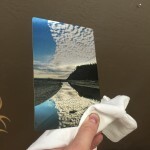 The printed image is now permanently embedded into the coating on the substrate. 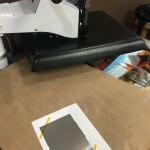 The trick with dye sublimation printing – and more specifically, with the actual subliming that happens in the heat press – is that the variables are much more than just “getting the color right”. Everything involved in the process can result in issues with making a perfect print! If the substrate gets too hot too fast, or not hot enough, the image might not transfer. If the heat press misreports its temperature (it happens! sometimes upwards of 20º off!). If there is too much moisture in the print. If there is too much moisture in the substrate. 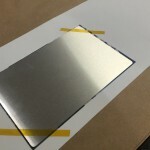 If there’s too much moisture in the protective paper above or below the print or the substrate in the heat press. If there is too much moisture in the air. Moisture can be…quite an issue. Inside the heat press under that extreme temperature and pressure, everything is moving…even at a minute scale. The paper the ink is on contracts. The metal expands, but the coating on the metal contracts. The protective paper shifts as the moisture tries to escape. Or if it’s apparel we’re pressing, the fabric contracts…a lot! So dye sublimation takes a bit of patience. Luckily, in the end, it’s worth it. 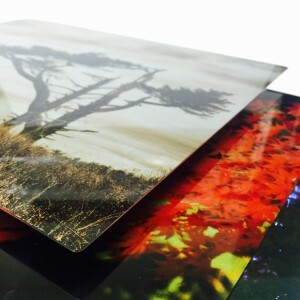 Metal prints, wood prints, ceramic tiles, glass prints, all-over full coverage full-color apparel printing – all of it is possible with this amazing technology! 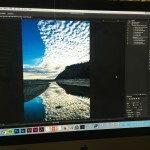 Call us or come into the studio to get a demo of how it all works and see you image in a way you’ve never imagined!